For a fee of £7.3 million, Bayer Leverkusen was able to sign Javier Hernandez as the Mexican attacker made a move from Manchester United to the German club and so far things have been going incredible well for the 28 year old forward who has consistently been struggling sitting on the sidelines of big teams. 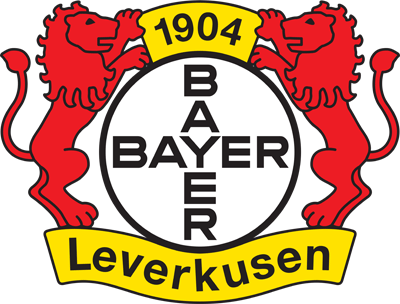 Manchester United and Real Madrid were the 2 European clubs where Javier Hernandez performed in before eventually making a move to Bayer Leverkusen and in both of his former clubs; he struggled trying to land a spot in the first team as Hernandez had to settle with a place on the bench for the majority of the time. During Javier Hernandez first debut as a player of Bayer Leverkusen, he managed to score 17 goals as he finished the season of 2015-16 as the top goal-scorer of the German club which is impressive for the debut season of any player in a new club. Juventus are reportedly still keen on landing the duo of former Red Devils forward Javier “Chicharito” Hernandez and Leicester City’s N’Golo Kante this summer. The Bianconeri could have lesser talents this coming season and have decided to place the Leicester City player on the priority list for this summer. The Frenchman was impressive in the midfield as Leicester City in the last campaign and was pivotal to their stunning English Premier League glory. According to Tuttosport, Juventus also have Chicharito and Lucas Hernandez in its summer wishlist. Kante is one of the most wanted midfielders in Europe right now after his stunning display in the past season. Spanish giant Real Madrid are keen on the King Power Stadium player as they see him as a more affordable option when compared with Paul Pogba, who Juventus want to sell for a record breaking fee. Madrid would likely trade James Rodriguez if they are to make space for the arrival of Paul Pogba, since the player has enjoyed a reduced playing time since Coach Zinedine Zidane took over. But Madrid is reported to be more inclined in landing Kante at a way reduced transfer price with less weekly wages commitment. Head Coach of German side, Bayer 04 Leverkusen, Roger Schmidt heaped praise on Mexican star striker, Javier ‘Chicharito’ Hernandez, citing his intelligence and nose for goal as two of his principal qualities. The German club hosted Hertha Berlin on Match day 32 over the weekend and were able to cement their place in third and the accompanying automatic berth in next season’s UEFA Champions League group stage. 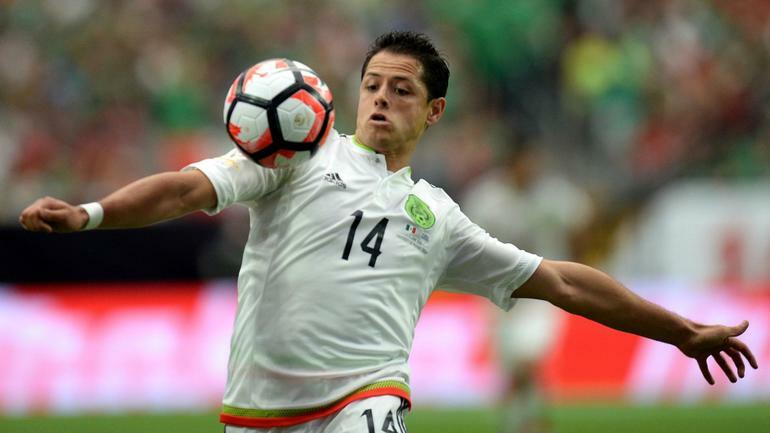 “’Chicharito’ is very important to the team because he’s a player with extraordinary ability. “As an attacker he’s very intelligent at getting into position, creating space and freeing up room for his team-mates, but is also always available to receive the ball. On top of that, he has a knack for finding the most dangerous position to score a goal,” he added in the interview with the club’s in-house television station. After having scored with Mexico during the international break, Chicharito continues his good form by scoring for his club Bayer Leverkusen in a game against Wolfsburg on Friday. With his side playing at home and leading by one goal, Chicharito scored a magnificent goal from outside the box. Just outside the box, Karim Bellarabi found Chicharito, who did not miss the target with a sweet curling shot. He was only a substitute that entered on the pitch at the 61st minute. It was the 15th league goal for Chicharito, but he has not been scoring for the last 6 games for Bayer Leverkusen. It seems that the international break has had some great benefits for him. Chicharito also played a part in the third goal. He assisted VladenYurchenko with a sublime pass to help his team win the match. This result put Bayer Leverkusen back into contention for a Champions League place. Javier Hernandez has gone from spending the majority of his career in the sidelines of Manchester United and Real Madrid to turning into a breakout star in the German outfit Bayer Leverkusen. 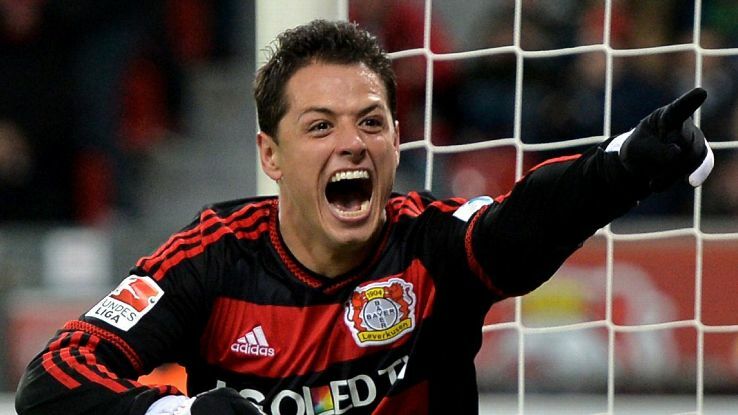 The Mexican attacker signed a 3 year long contract with Bayer Leverkusen on August of 2015 for a transfer fee of £7.3 million and this deal was a questionable one as the supporters of Bayer Leverkusen weren’t exactly happy to see their club offloading £7.3 million in a player who was doing nothing more than spending time on the sidelines of big clubs but Javier Hernandez has silenced his doubters as he has consistently been scoring goals for Leverkusen and has earned numerous awards along the way. Going from being a bench player to a consistent goal-scorer and becoming one of the star players in the team is an accomplishment many performers in the world of football would like to accomplish. Javier Hernandez’s transfer to Bayer Leverkusen has simply been the best decision that he has made to bring his career back to life and this is why he is receiving so much attention from the media. Hernandez has a contract with Leverkusen which extends until 2018 and when the sporting director of Bayer Leverkusen was asked about the possibility of selling him in this January transfer window, Rudi Voller replied by saying that it’s just not going to happen simply because Hernandez is out of the market.